Turkish prosecutors have found that a doctor who committed suicide after being removed from his job over his alleged use of ByLock mobile app did not actually use the application, the Evrensel daily reported on Thursday. 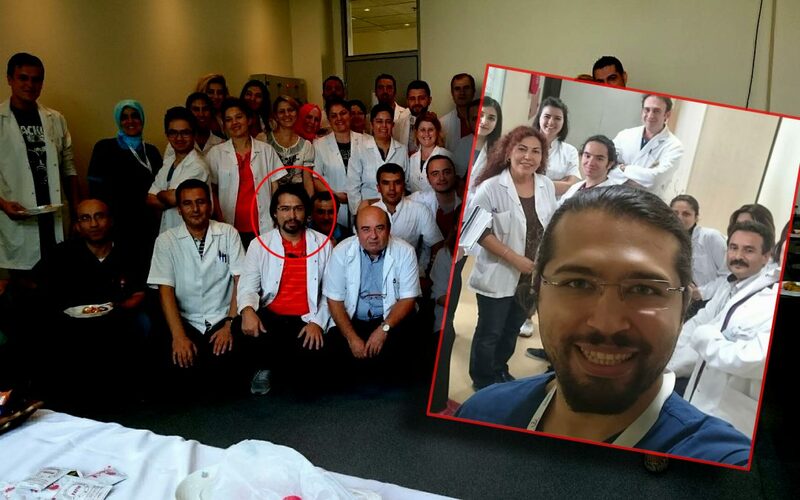 Shortly after he was fired from his job at the İzmir-based Katip Çelebi University Hospital in February 2017 as part of an ongoing crackdown on followers of the Gülen movement, Dr. Hasan Orhan Çetin committed suicide by jumping from the 10th floor of the hospital. Çetin, 30, was an assistant in the biochemistry department of Katip Çelebi University Atatürk Teaching and Research Hospital. Çetin sustained critical injuries in the fall and could not be saved despite doctors’ efforts. In an investigation into Çetin, the İzmir Chief Public Prosecutor’s Office recently decided on non-prosecution of the late doctor because it was found out that Çetin did not use ByLock, Evrensel said. The İzmir branch of SES, a labor union representing healthcare workers, has issued a statement regarding Çetin’s ordeal and said an investigation on suspicion of causing death should be launched into the Turkish authorities who removed him from his job. SES’s request was later refused by the Izmir’s Public Prosecutor’s Office over the lack of cause-effect relationship. ByLock is an encrypted mobile app that Turkish government says once top communication tool among Gulenists. Dozens of people have committed suicide either after they were imprisoned over ties to the movement or after being linked to the movement outside prison. Some of these suicides have been found to be suspicious. Turkey experienced a military coup attempt on July 15, 2016 that killed over 240 people and wounded more than a thousand others. Immediately after the putsch, the Justice and Development Party (AK Party) government along with President Recep Tayyip Erdoğan pinned the blame on the Gülen movement despite the lack of any evidence to that effect. Over 150,000 people, including thousands within the military, have been purged by government decree from state jobs due to their real or alleged connection to the Gülen movement since the coup attempt, while 50,000 others have been arrested. This article originally appeared in Turkish Minute on March 29.